LIVE VIDEO: NHRA BABY GATORS - GAINESVILLE, FLA. 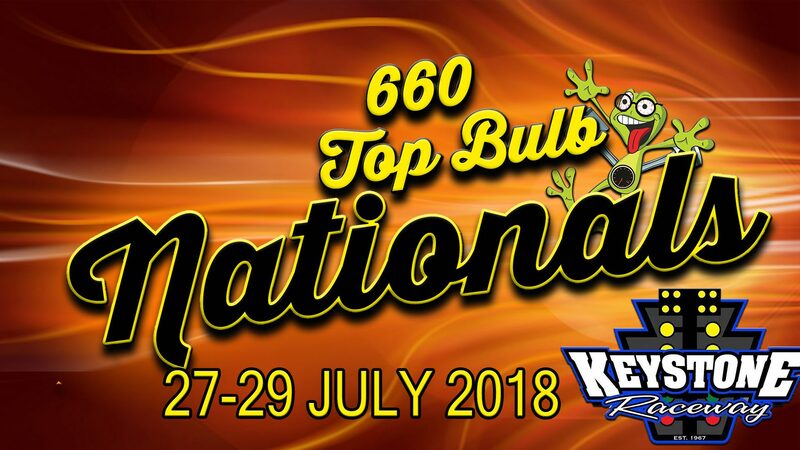 Thanks to our coverage partners at DragStory.com and Mark Walter, we present to you the live video feed from Keystone 660 Top Bulb Nationals from Keystone Raceway Park. When Alan Kenny won the 2012 NHRA Super Comp national championship, it instantly went to No. 1 on the list of accomplishments during his long racing career. "It's like a fairy tale season," said Kenny in an interview after winning the 2012 title. "If you're a drag racer, the NHRA world championship is your World Series, your Super Bowl, whatever you want to call it. Every year, you lay in bed at night when you can't sleep thinking, 'You know, if I could just win a couple early, maybe I'd have a shot.' "
David Hutchens and Brian Percival of Lakewood, Colo., celebrated with their teams in winner's circle during the closing of the Dodge Mile High NHRA Nationals at Bandimere Speedway. Hutchens worked his way through the field to meet Percival in the Super Comp final round. Both runners triggered great lights at the line, but Hutchens' was better; .002 seconds earning him his first national event Wally trophy at his very first national event. Hutchens ran 9.453 seconds, 174.48 mph; Percival followed up at 9.413 seconds, 160.16 mph. In the final results from Sonoma Raceway and the NHRA Lucas Oil Drag Racing Series, Doug Lambeck, Irvine, Calif., and Justin Lamb, Henderson, Nev., took home the wins in Comp Eliminator and Super Stock respectively. Lambeck, worked his way through the field and ran 8.351 seconds at 185.74 mph in his final round victory over Tony Mandella, Eastvale, Calif., who clocked in at 7.912 seconds, 163.31 mph. 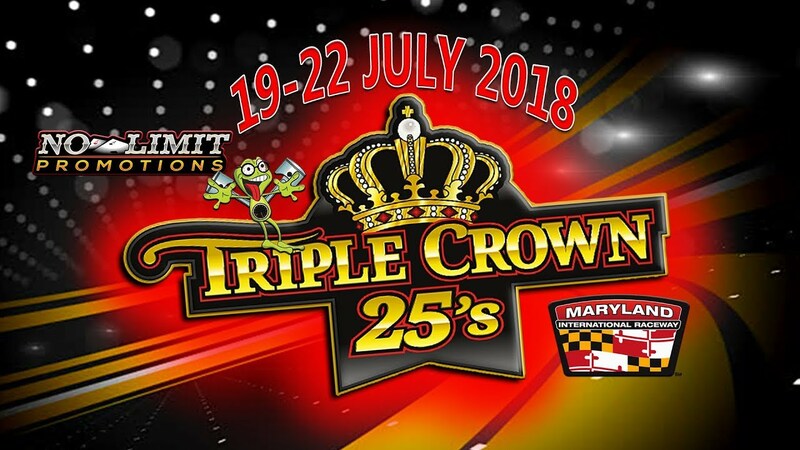 Thanks to our coverage partners at DragStory.com and Mark Walter, we present to you the live video feed from the Moser Triple Crown 25's at Maryland International Raceway. The 13th Annual Nitto Tire NMRA/NMCA Super Bowl of Street-Legal Drag Racing is just around the corner. 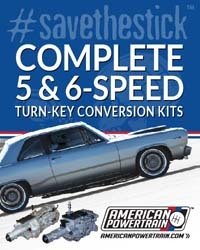 The largest race of its kind in the country showcases the world’s fastest street cars and the world’s fastest Fords racing together at Route 66 Raceway in Joliet, Illinois, July 26-29. Twenty five touring points classes from the NMRA, NMCA and The Chevrolet Performance Challenge Series, will be featured during the event which begins with a test session on Thursday July 26th and concludes with the legendary “Super Bowl” portion of the event on Sunday afternoon when class winners from both organizations race against each other in hopes of winning a Nitto Tire Diamond Tree Ring©, awarded in the Aerospace Components Winners’ Circle. In the final results from Woodburn Dragstrip and the NHRA Lucas Oil Drag Racing Series and the Les Schwab Tires Challenge, Shawn Cowie, Surrey, B.C., and Jay Payne, Claremont, Calif., took home the wins in Top Alcohol Dragster and Top Alcohol Funny Car respectively. Cowie, worked his way through the field and ran 5.296 seconds at 273.63 mph in his final round victory over Joey Severance, Woodburn, Ore., who clocked in at 10.147 seconds, 85.51 mph. Payne, faced off against Jirka Kaplan, Calgary, Alb., and posted a winning run of 5.748 seconds, 260.86 mph in his ’18 Camaro. Kaplan drove to a 5.826 second, 245.09 mph lap for his runner up finish. 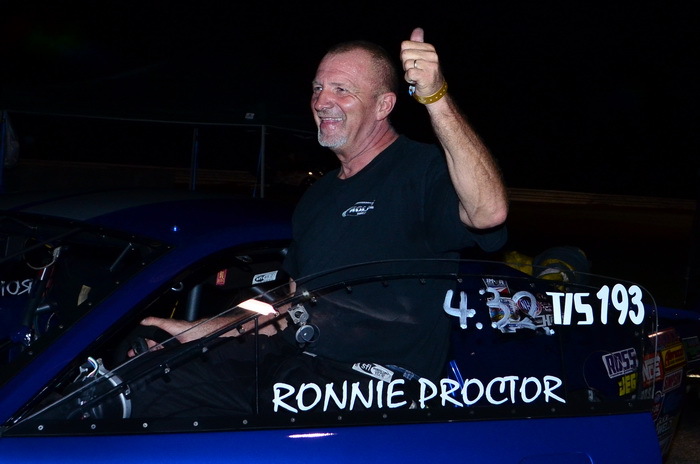 Ronnie Proctor opened his 2018 season experiencing two things that had never happened to him before: winning an NHRA national event and breaking an engine mandrel. 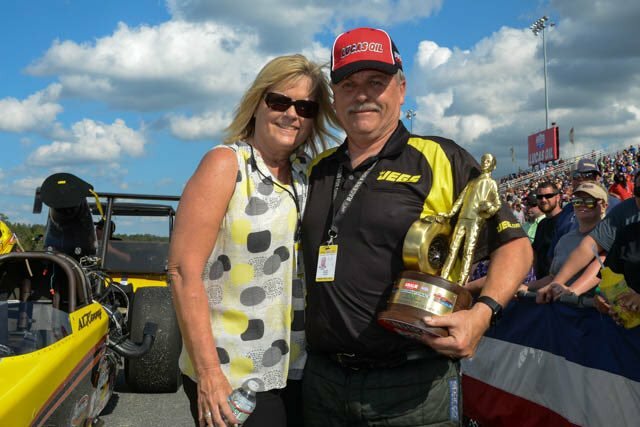 After scoring the first NHRA national event victory of his career at the Amalie Motor Oil NHRA Gatornationals in Gainesville, Fla., his engine completely seized during the PDRA East Coast Spring Nationals at Galot Motorsports Park. Despite what he described as an "up and down season" to start the year, Proctor's steady performance currently has him No. 6 in the NHRA Division 1 standings and No. 3 in the world. CompetitionPlus Sportsman's J.T. Gonzalez caught up with the Top Sportsman stalwart to talk about his season, his long racing trajectory, and the motivation that keeps him competing. 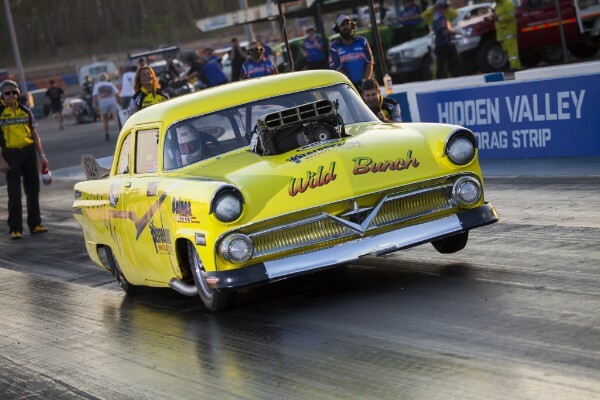 Round one of the 18/19 Summit Racing Equipment Sportsman Series, Nitro Up North, has concluded in front of an enthusiastic crowd at Darwin’s Hidden Valley Drag Strip this evening. Hoisting ANDRA Christmas Trees at the end of the two-day event were Jake Berias (Summit Racing Equipment Junior Dragster), Mark Tattingham (Modified Bike), Theo Karamanidis (Super Street), Peter Tzokas (Super Sedan), Jess Voigt (Modified), Mark Hunt (Supercharged Outlaws) and Jason Arbery (Top Sportsman). Runners-up were Aiden Abel (Summit Racing Equipment Junior Dragster), Heath Costello (Modified Bike), Craig McGregor (Super Street), Dave Todd (Super Sedan), Glenn Bull (Modified), Paul Stephen (Supercharged Outlaws) and Rick Smith (Top Sportsman).